Gum disease is caused by a bacterial infection that is hidden below your gums. Dental cleanings can effectively treat the bacteria, but when you return home the cycle often continues. Bacterial cells grow back in just hours after a cleaning, and toothbrush, rinse and floss can’t reach deep enough to address the infection at home. The Perio Tray by Perio Protect gently applies medication deep under the gums to fight the infections. You use it at home for just minutes each day. The Tray is comfortable, flexible, and custom-fit precisely for your mouth. With Perio Tray therapy, you have a new chance against the infections. In additional to healthier gums, patients commonly report whiter teeth and fresher breath. 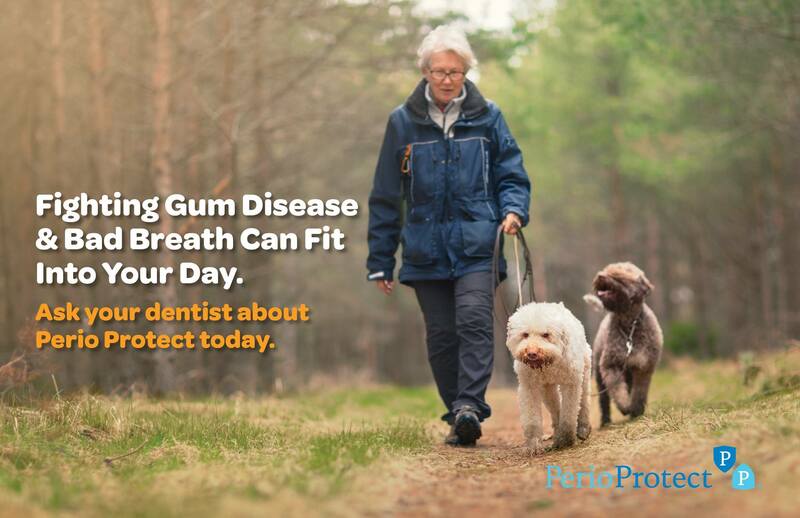 If you’ve been told that you have gum disease (gingivitis or periodontitis), ask our team if Perio Trays are right for you.